Description: Come learn how to bridle a rokkaku the traditional Japanese way. You will make a rokkaku with a 3:4:5 ratio. Finished size will be 63” tall by 51” wide. Rod will be showing the Japanese method of bridling, something he has used to make steady fliers of unruly roks! You may do some simple appliqué of your own design as bridling will be the emphasis of the class. Fabric: You can bring your own fabric or choose from Rod’s limited supply of colors. Remember OKR will have lots of fabric for sale at retreat!. The minimum fabric needed for a one-color rok is 1-2/3 yards of fabric, purchased from Rod, is about $15. 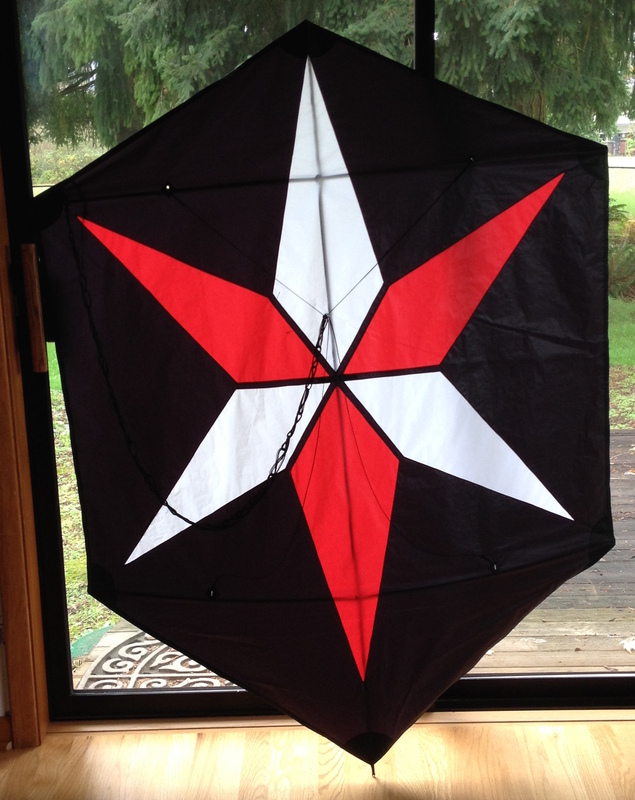 The cost for each color added will depend on what is needed for the kite makers design.